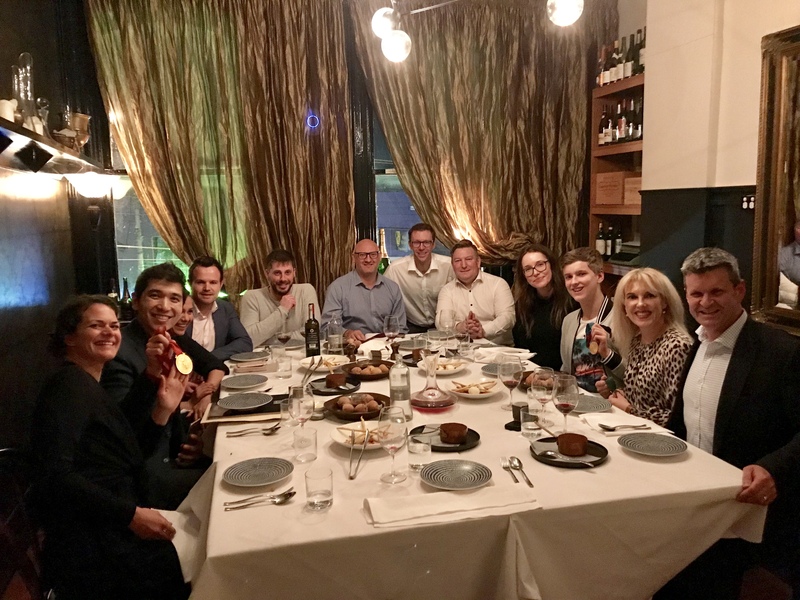 On Wednesday 26 September, the leadership team at Prime Creative Media enjoyed a dinner with Australian Olympian and multiple Olympic Gold medal winner, Drew Ginn. Mr. Ginn is best known as a member of the legendary “Oarsome Foursome”, with four Olympic gold medals and five world championships to his name. Drew has gone on to develop a career as a high performance trainer, and is currently the GM of High Performance for Cricket Tasmania. His skills extend into the corporate world, as an Associate at the Melbourne Business School. Mr. Murphy noted that Mr. Ginn’s turned anecdotes from sport, psychology, communication and business into easy to understand ideas that will help Prime Creative Media’s leaders move to the next level.